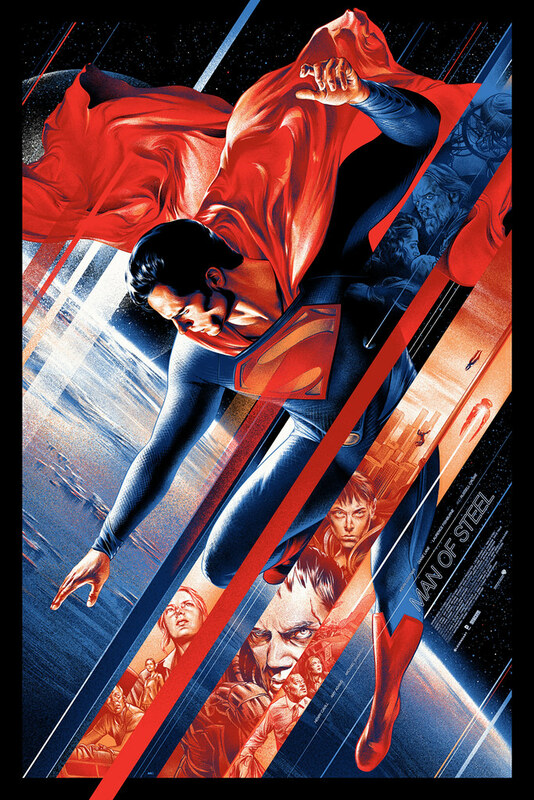 This weekend, Mondo will be selling a limited run of this poster by Martin Ansin for the Man of Steel movie! 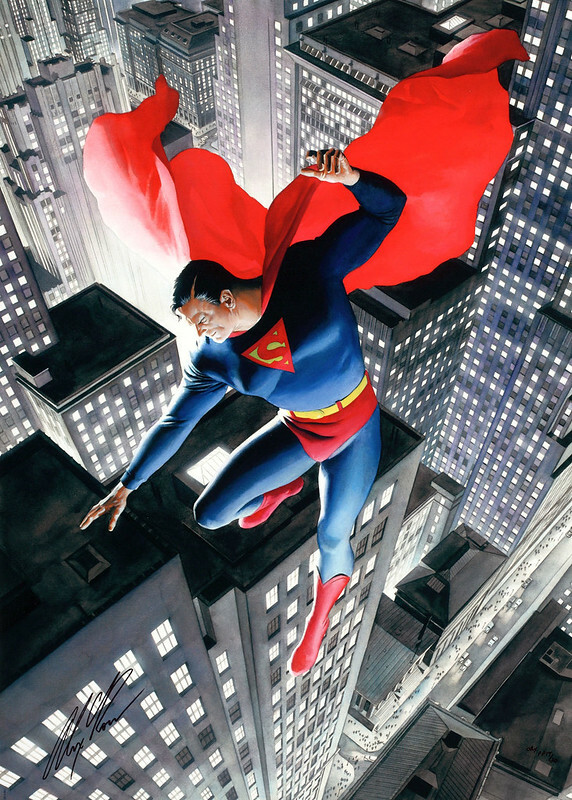 If you look carefully, Superman's pose is the same as the 1939 cover to Superman #1. Mondo's website has all the details for this Man of Steel release. It goes on sale this Friday at midnight through the weekend. I almost thought this poster was by Alex Ross. Ansin's previous work on Planet of the Apes and the Flash has knocked me out. Nuff Said! Update: Jason let me know that Ansin's Superman figure is a complete swipe from Alex Ross Superman painting from a number of years ago. I knew that looked way too much like something I had seen before! For an animated gif showing the overlay, see this page. Thanks for letting me know! I knew that looked way too much like Alex Ross.